T-Shirt with print on one side. Brand : Unbranded, 165 g jersey cotton, fashion fit. Good quality!! Dave's era t-shirts are always amazing! Once again super fast shipping and great quality merch. Long live Crashdiet. Snyggt med tryck som smälter in med bakgrunden till hela tröjan istället för att trycket blir som en "patch". Och i stort sett perfekt passform! Received the package very fast, great communication and amazing product! Really cool vintage image. 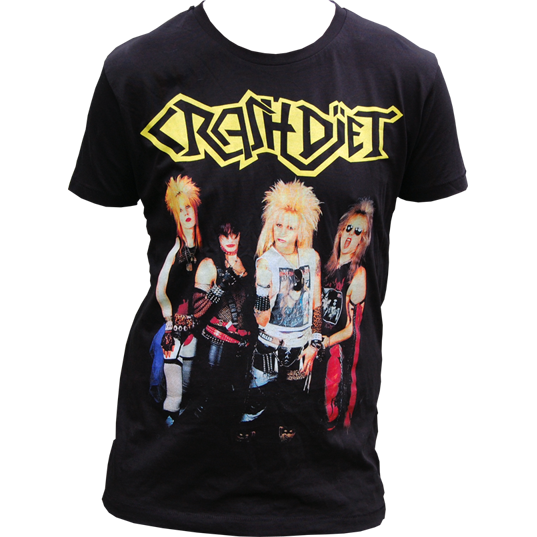 Would have to be up there with one of the best shirts crashdiet have released, and as usual the print quality is super. They never fail to surprise us. See all 19 customer reviews.